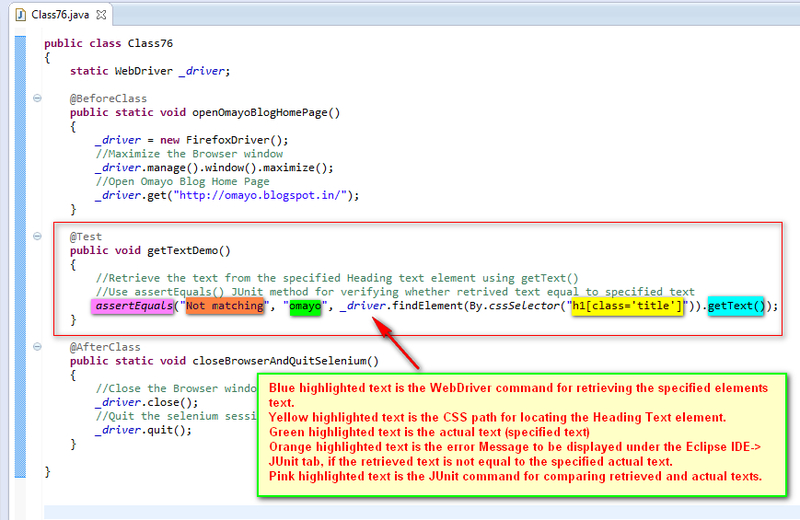 We've already discussed about this command in our earlier post Post # 34 Using getText( ) to retrieve any elements Text. Go through the Post # 34 once and now lets use the assertEquals( ) JUnit method to verify whether retrieved text is equal to the actual text. 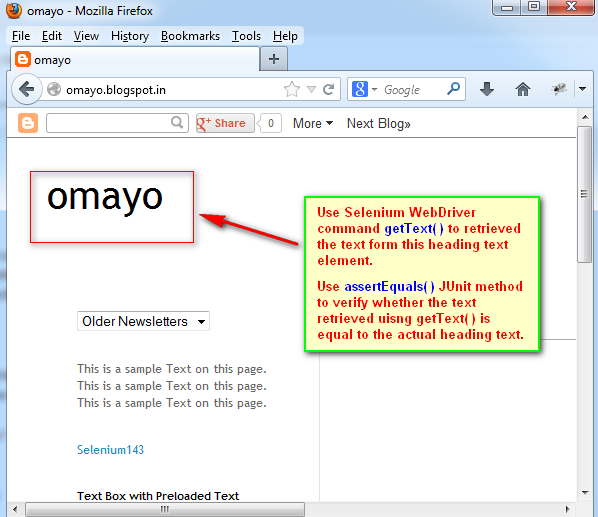 Note:- Here 'omayo' is the text to be retrieved from the text element. First of all lets understand the Test Description by going through the comments mentioned on the below screenshot. 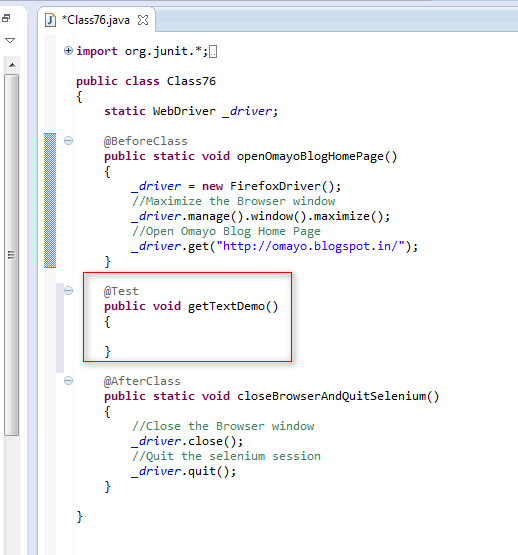 So we have to locate the heading element's text using CSS path, as use getText( ) to retrieve the text. 3. 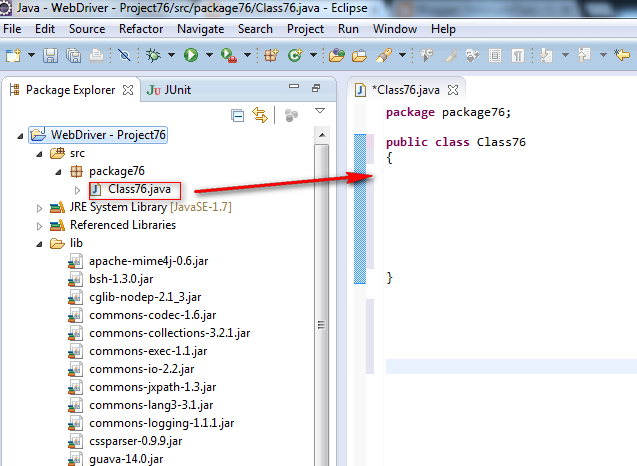 Create a package say 'package76' under the newly created project. 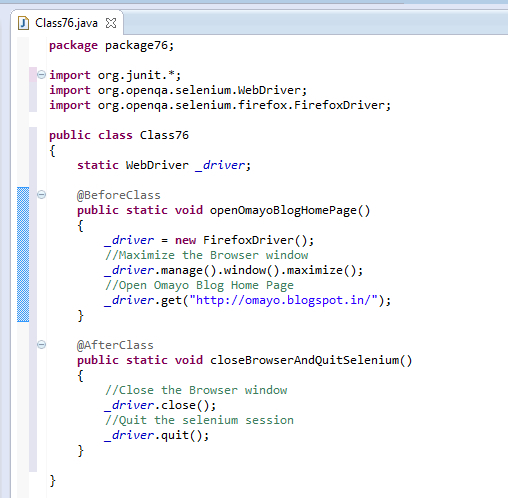 Get XPath Count in Selenium WebDriver will be explained in the next post.